There are so many elements to consider when planning a move that you may feel like a project or logistics manager. The possibility that possessions could be left behind or damaged in transit can make it an even more stressful life event. Sometimes we’re so busy worrying about buying the packing materials or protecting our finest valuables from damage that we forget about the intangible items that could wind up costing us even more – like identity theft. 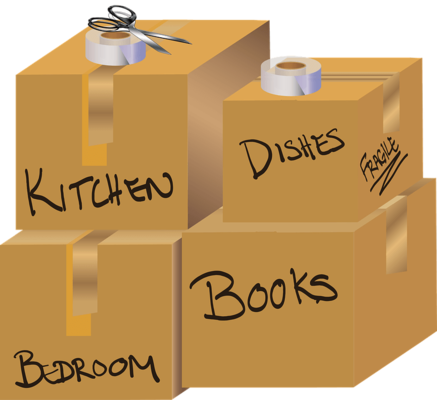 Here are some pointers to ensure you have a smooth, safe and secure move. 1. Choose a professional, reputable moving company. After all, you’re allowing strangers access to your house and its contents, which may include personal documentation and mail. All Jersey Movers & Storage has been in business for over 50 years and is endorsed by the Better Business Bureau and Angie’s List, as well as thousands of satisfied clients. Using our professional and trusted movers gives you priceless security at an affordable price. In addition, entrusting packing and unpacking to experts reduces anxiety that can lead to forgetfulness about vital steps like ensuring no confidential financial documents are mailed to your former address. 2. When clearing paper clutter before your move, invest in or borrow a shredder. Take particular care with old mortgage and tax documents and any other deeds or contracts that contain your social security number. A realtor’s “SOLD” sign can alert scammers that a move is imminent and prompt them to trawl your trash. 3. If you have too many personal documents and files to keep in your possession, secure them in a locked filing cabinet for transportation. When obtaining quotes, ask the professional moving company about changes of crew. Unlike many companies, All Jersey Moving & Storage uses the same team to load and unload your possessions, eliminating the risk of other parties gaining access to your valuables. Our expedited service ensures that your documents are transported directly and arrive quickly, with no risk of becoming lost en route. 4. When relocating a business, consider storing your abundant confidential papers and files in storage until you’ve settled into your new premises. All Jersey offers containerized storage, to both homeowners and business owners which provides optimal security by monitoring and undertaking all movement in and out of the facility using our own staff. Unlike with self storage facilities, you’ll also be able to buy full value insurance coverage. 5. Make use of the services offered by credit reporting companies to keep your identity secure. These include opting out of receiving pre-screened offers of credit and insurance by mail, either for a specific amount of time or permanently. Nationwide credit reporting services in the U.S. are required to provide one free credit report per year to consumers. Request one several months after your relocation to make sure there has been no fraudulent activity like closed accounts being reopened in your name. Remember - All Jersey Moving & Storage's good name helps ensure that your name remains your own! Contact us today to learn more about our packing and unpacking, piano moving and short and long -term containerized storage services.